Grappler | Boom Beach. All about the Game! 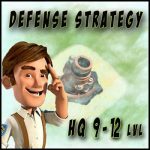 The Grappler in Boom Beach is a prototype that shoots steel tongs into the midst of the offensive troops group and pulls out one unit. The idea of using this prototype is to destroy the main part of attacking Tanks or Scorchers one by one, dragging them into the very thick of the defensive buildings. Accordingly, the efficiency of the Grappler depends on its place on the island. 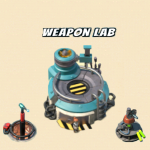 What is the optimal position for this prototype you can find in the “wiki Boom Beach” category. But here, in the video below, is an example of a very unfortunate position of the Grappler III that acted into my favor and helped make a successful attack only with Scorchers. In that case, the prototype acted as a teleporter and moved all my Scorchers one by one directly to the enemy Headquarters with the three seconds interval. The excellent job of the Grappler! Isn’t it? As you can see from the video, in any way it’s not recommended to place the Grappler very close to the Headquarters and separately from the Cannons and Boom Cannons. That types of defensive buildings must be placed with this prototype. 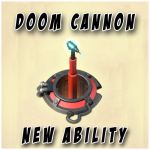 Otherwise, the Grappler can act into the enemy favor. 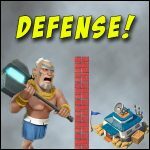 This entry was posted in ATTACK, DEFENSE and tagged Attack, Defense, Weapon Lab. Bookmark the permalink.